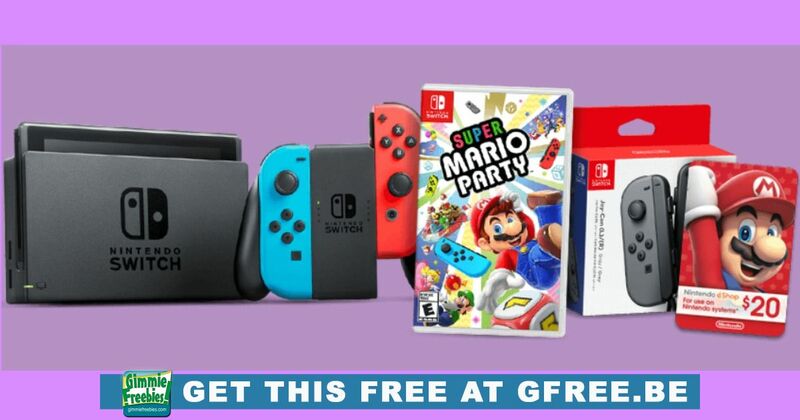 You are here: Home / Giveaways - Sweepstakes & Contests / Giveaway: Instantly Win A Nintendo Switch! Giveaway: Instantly Win A Nintendo Switch! Use code BOOS, YOSHI, OR MARIO when entering! The Nintendo Switch giveaway is sponsored by Yoplait. Enter this one daily. Good Luck! an additional pair of Joy-Con controllers; the Super Mario Party game; and a $20 Nintendo eShop Card. Approximate Retail Value (“ARV”): $398.99. FIVE HUNDRED (500) FIRST PRIZES: Each winner will receive a $20 Nintendo eShop Card. Eligibility: Open to legal residents of the fifty (50) United States (including District of Columbia) who are at least eighteen (18) years old at the time of entry. Looking for the WINNERS LIST? To see all the winners: click the link above to enter, and view the OFFICIAL RULES! Instructions to access the winners list is available in the official rules. Don’t miss all of the fantastic giveaways we share here! Win it at GimmieFreebies! Good luck! Carefully read through our instructions above, then follow the blue underlined words (also known as a hyperlink) to go to the sponsoring company's site. Each offer is different, so make sure to read the directions carefully. Freebies can take weeks - and sometimes months to arrive in your mail. We also share free things you can get in stores by you, and free things you can win. Be sure to notice the difference, so you know what to expect. When you're done with this post, head to our homepage to find more freebies to grab here! To learn more about how freebies really work, and how to get free things, visit and JOIN our Free Stuff group on Facebook and read this group post - the best way to learn freebies online. Spend Less. Enjoy More! We invite you to join over half a million smart, honest, fun-loving, bargain-hunting shoppers just like yourself on our Facebook Page and Free Stuff group!